We here at the Final Turn stood true and bold to honour the above two soldiers. Coldstream Guards, Canal Zoners (Oxon), Guards Division (Henley), Parachute Regiment (Oxon), RAF Police, Royal Army Service Corps, Royal Marine/Navy (Oxon), the St George Society; and the Banner of the Royal Dragoon Guards. 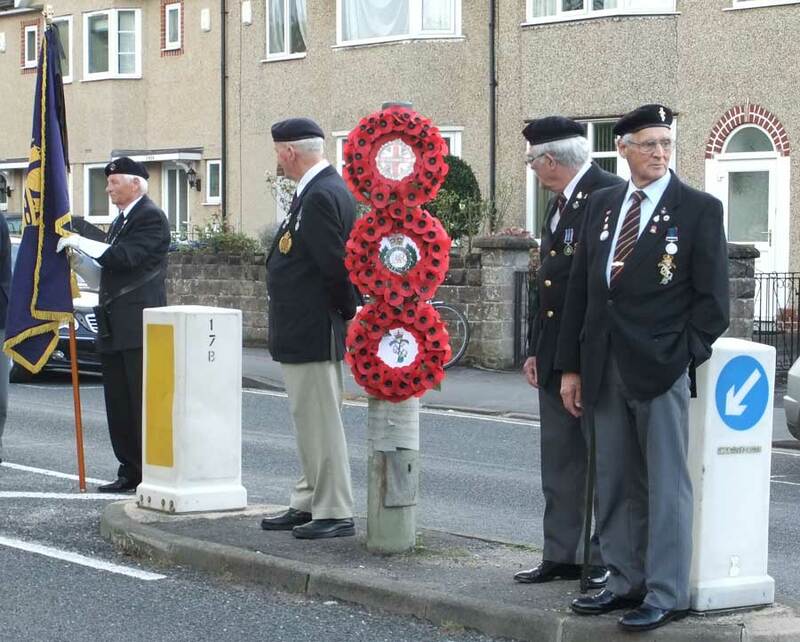 Apologies: Brigadier (Retd) I. Inshaw, DL; Colonel (Retd) T. Hall, CVO, OBE (11th Hussars); Cllr E Benjamin; T Young, MBE; Mr M. Lane (Household Division Standard Bearer). 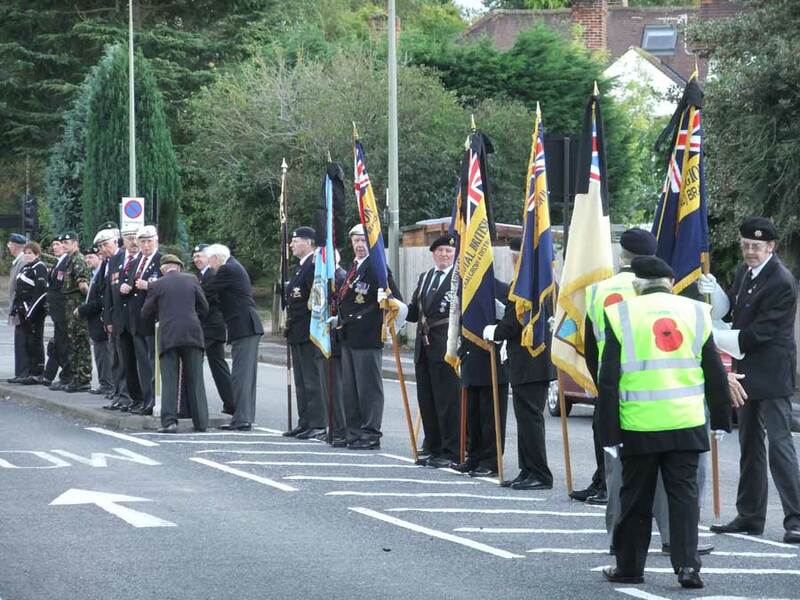 There were 35 Veterans in Berets and 20 others from all three services. Thames Valley Police and PCSOs all under the Highways Agency command of Chief Inspector Cecilia Agger. Oxford County Council was also out in force helping the police with road signs and traffic control. Thames Valley Chaplain Graham Choldcroft. 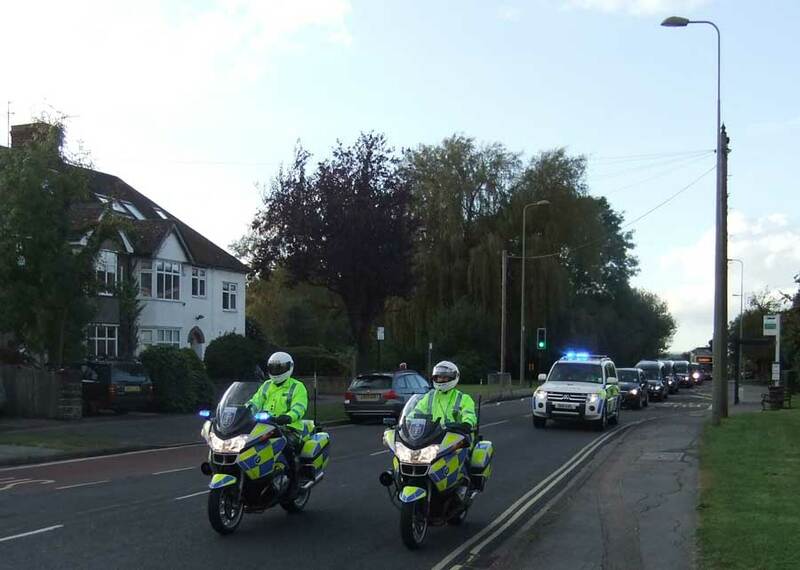 There were approximately 200 members of the public at the Final Turn and many more leading off of the Oxford ring road into the Marston area, all the way up Headley Way to us at The Final Turn. Mary and John from the Church stood with us (John having half-masted the Union Flag very early in the morning). We thank Father Aldo as always for the use of the church car park and hall at the rear where we have our tea/coffee area. 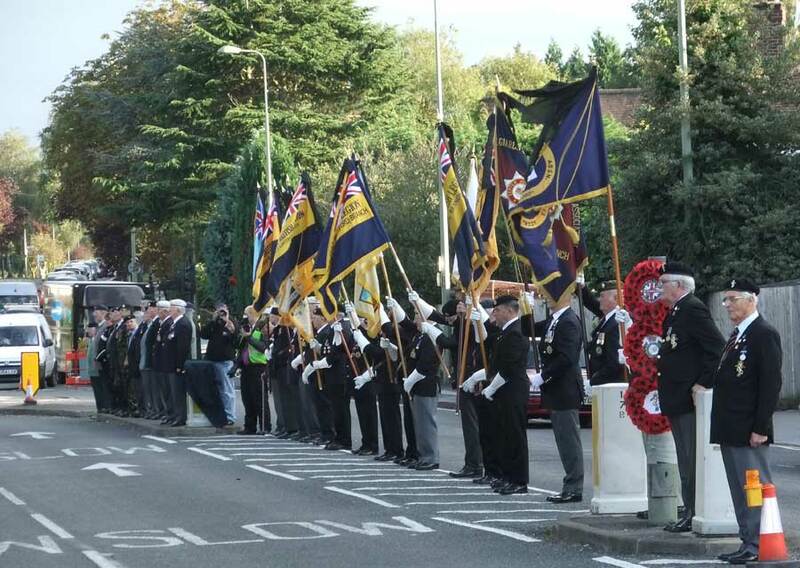 There were three riders from the Royal British Legion, and also riders from the Oxford UK Chapter. There were two crews from the Red Cross and two from The St John’s Ambulance. I thank M. Townsend (Royal British Legion) who helped me with the head-count and putting this list together. Thanks once again go to John Tierney (former Queen’s Dragoon Guards and Royal Armoured Corps Parachute Squadron) for the tributes he sent in as always. They were posted on the church door here and all along the route from RAF Brize Norton into Oxford. I thank all those who helped in the tea/coffee area and again all those who helped tidy away after the Parade. Bob Coupe our Blackpool man came all the way down to Oxford to be with us again to pay his respects. Also the young Rifles Soldier in uniform was again with us on Parade. Thank you, Rifleman Kitson. The Parade Marshall was G. Whelan (former Para). Second in command was J. Lewendon (former R.A. and the present RBL Chairman of Oxfordshire). The weather was slight sun, 17°C. 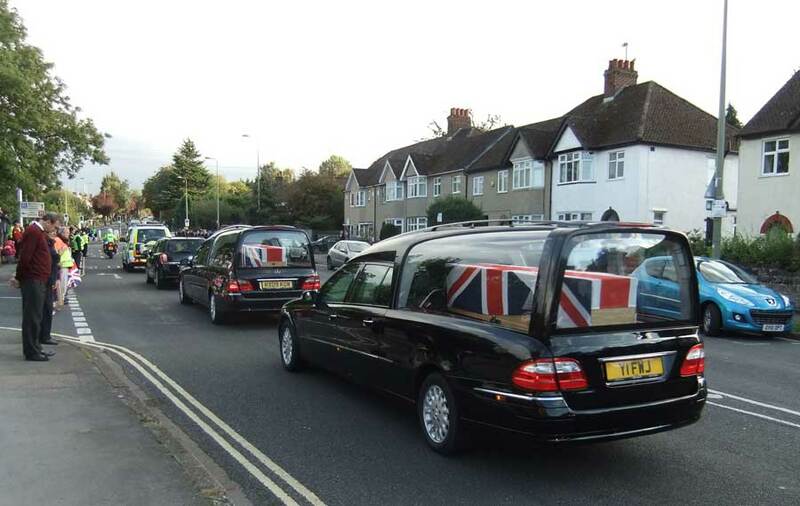 The cortège passed us by at 1725 hrs.